“Politics, one way or another, controls your destiny. Choose yours today,” read a 1974 announcement written by Lucille Otter on the front page of the confederated Salish, Kootenai and Pend d’Oreille tribes’ newspaper. Empowering tribal members to exercise their right to vote was one of the many ways Lucille Trosper Roullier Otter helped Indian people better their condition in life. 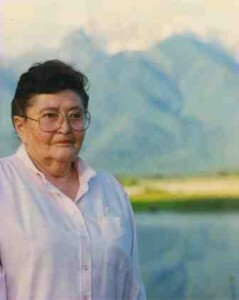 Lucille Trosper was born in 1916 on the Flathead Indian Reservation to Angeline McCloud, a member of the Salish tribe, and Belford Trosper. She grew up hunting and fishing with her brothers—activities that inspired her dedication to conservation efforts in the Flathead region. She graduated from Ronan High School in 1933. Although Lucille did exceptionally well in school, she did not attend college because her father objected. 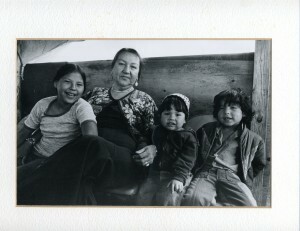 Shown here with her grandchildren, Josephine Pease Russell was one of the first Crow women to graduate from college. 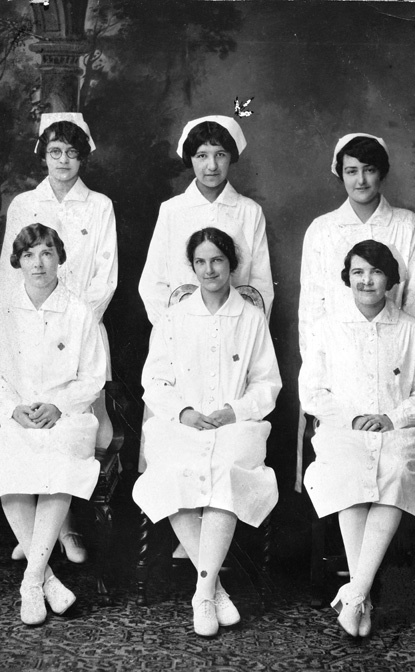 On her return to the reservation, she persevered in the face of discrimination to become a trailblazing educator. Photograph by Kathleen Wescott. 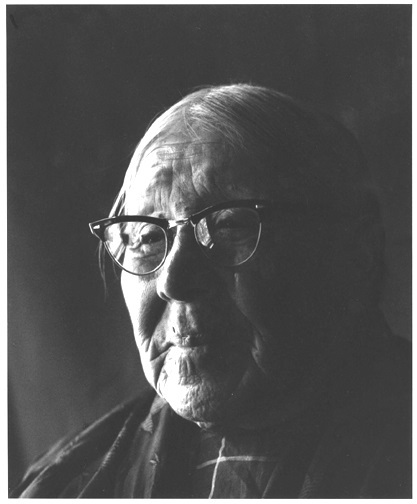 In 1937, Josephine Pease became one of the first Crow (Apsáalooke) people to graduate from college. Cultural and linguistic differences made obtaining an education challenging, but even greater were the difficulties that came with being a Crow woman who wanted a career in the mid-twentieth century. Crows discouraged women from being more successful than men, while some whites refused to hire Indians. Nevertheless, Pease persisted in her dreams to become a teacher, blazing a trail for future generations of Crow women. A custom among many tribes, the giveaway—and the love and gratitude it represents—strengthens social bonds through reciprocal acts of generosity. Similarly, the tribal tradition of adoption to replace lost family members helps heal broken hearts and builds family ties. These culturally prescribed acts of generosity and love were central to the life of Belle Highwalking, a Northern Cheyenne woman. Belle’s mother died giving birth to her in 1892. The Cheyennes pitied the motherless child and considered Belle poor, for a mother provided material and emotional sustenance. Belle’s grandmother took the infant to nursing mothers to be fed until Belle was able to drink milk from a can. 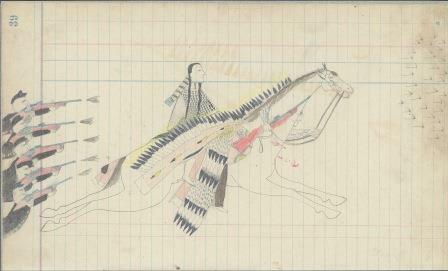 This drawing, from the Spotted Wolf-Yellow Nose Ledger, shows Buffalo Calf Road Woman rescuing her brother through a hail of bullets. Buffalo Calf Road Woman wears an elk tooth dress. Her brother, Comes in Sight, wears a war bonnet. According to the book We, The Northern Cheyenne People, the horse’s split ears indicates that it is a fast one. Smithsonian Institution, National Anthropological Archives, Bureau of American Ethnology, ms. 166.032. In 1876, the Lakota, Cheyenne, and Arapaho people defended their sovereignty, their land, and their lives against the United States. 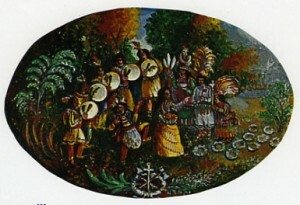 The Rosebud and Little Bighorn battles proved the tribes’ military strength but ultimately contributed to tragic consequences for the victors. A young Cheyenne mother, Buffalo Calf Road Woman, fought alongside her brother and husband at both battles in defense of Cheyenne freedom. Buffalo Calf Road Woman lived during the Indian wars, an era of extreme violence against the Native inhabitants of the West. American settlers frequently trespassed onto tribal lands, and tribes retaliated by raiding settler camps. Several brutal massacres of peaceful tribal groups by whites led to widespread fear among the tribes and shocked the American public. Such violence increased tensions in the region. 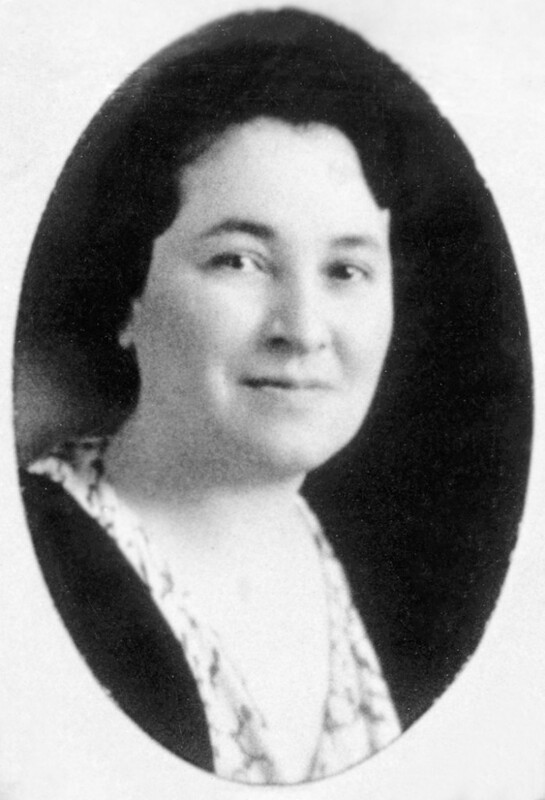 Elected to the Montana House of Representatives in 1932, with almost 100 percent of the vote, Dolly Cusker Akers was the first Native American to serve in the Montana legislature and the only woman to serve during her two-year term. She was also the first woman to serve on the Fort Peck Tribal Executive Board. Legislative Collection, MHS Photo Archives. Montana’s first Native American legislator and the first woman chair of the Tribal Executive Board of the Assiniboine and Sioux Tribes was not a women’s liberation advocate because she refused to acknowledge women’s limits. The fight Dolly Smith Cusker Akers did champion, however, was that of American Indians to determine their own destinies free from federal oversight and interference. Assertive and self-reliant—as she believed tribes should be—Akers achieved many notable accomplishments in her lifetime, but not without conflict and criticism. Born in 1901 in Wolf Point, Dolly Smith was the daughter of Nellie Trexler, an Assiniboine, and William Smith, an Irish-American. She attended school on the Fort Peck Reservation and at the all-Indian Sherman Institute in California. Graduating at age sixteen, she returned to Montana and married George Cusker in 1917. In the early 1920s, the Fort Peck tribes sent two elders to Washington, D.C., to lobby for school funding. Neither elder spoke English, so Dolly accompanied them as interpreter. The articulate young woman impressed the congressmen, whom she then lobbied in favor of universal citizenship for American Indians—an issue that had been debated for many years. In 1924, the Indian Citizenship Act became law, establishing the basis for American Indian suffrage and furthering the government’s long-term goal of gradual absorption of American Indians into American society. Susie Walking Bear Yellowtail was among the first Apsáalooke (Crow) people to achieve a higher education. Like many Native children of her generation, she attended mission boarding schools where students were expected to give up their indigenous languages, beliefs, and cultural ways. Instead, Yellowtail maintained her Apsáalooke identity and, guided by her cultural heritage, used her education to improve the lives of American Indian people. 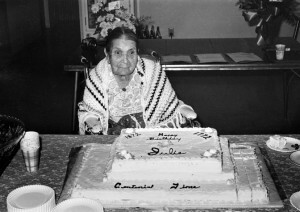 Born in 1903 and orphaned as a child, Susie grew up in Pryor and attended a boarding school on the Crow Reservation. As the only child who spoke English, Susie translated for the other students. With her missionary foster parents, Susie soon left the reservation for Oklahoma, where she briefly attended a Baptist school. Her guardian, Mrs. C. A. Field, then sent Susie to Northfield Seminary in Massachusetts. Mrs. Field paid Susie’s tuition, but Susie earned her room and board by working as a housemaid and babysitter. Oshanee Kenmille from Steve Slocomb on Vimeo. Having trouble viewing the video? Try this link! Oshanee Kenmille dedicated eight decades of her life to making beaded gloves, moccasins, cradleboards, and other leatherwork for family, friends, tribal members, celebrities, and dignitaries. She had very little formal education, but learned from the Salish and Kootenai women in her life how to tan hides, sew buckskin clothing, and do beadwork. Kenmille then applied her expertise toward teaching others both these skills and the Salish and Kootenai languages, ensuring this cultural knowledge will continue with future generations. In spite of the many challenges and tragedies in her life, Oshanee Kenmille inspired others with her strength, her joyful spirit, and her commitment to preserving traditional tribal culture. Oshanee’s parents, Annie and Paul Cullooyah, maintained their traditional Salish way of life on the Flathead Reservation. Oshanee, who was born in 1916, began beading at age eleven while watching her mother, whose praise for Oshanee’s first efforts inspired the child to develop her beading skills. Annie, who died in 1928 when Oshanee was only twelve years old, did not live long enough to see how well Oshanee succeeded. Amid the ruins of the Fort Shaw Industrial Indian Boarding School, a metal arch and granite monument honor ten Native American girls who overcame separation from their families and forced estrangement from their Native cultures to become the finest female basketball players in the country. 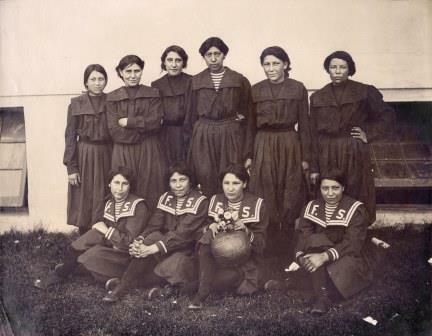 Declared the “World Basket Ball Champions” in 1904, the girls from Fort Shaw also deserve praise for having triumphed over extraordinary life challenges. Born in 1872 on the South Fork of the Sun River, Julia Ereaux was the daughter of a French immigrant, Lazare “Curley” Ereaux, and his A’a Ni Nin (White Clay—also known as Gros Ventre) wife, Pipe Woman. Julia, whose White Clay name was Sweet Pine, grew up in a bicultural family and was fluent in French, English, and Gros Ventre. 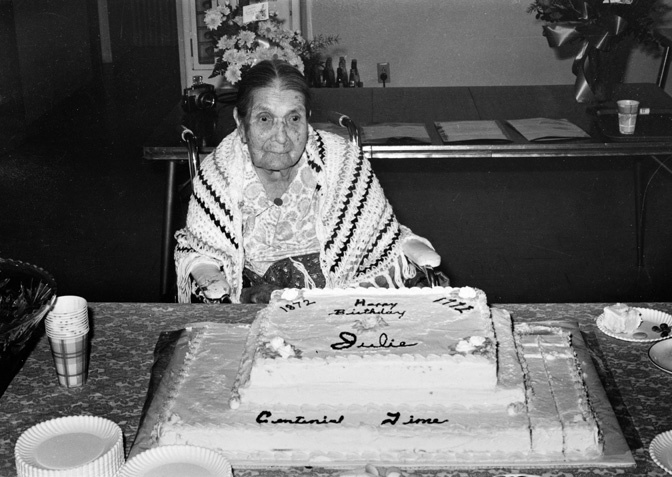 She became a rancher and a newspaper correspondent, even as she served as a Fort Belknap tribal council member, promoted traditional indigenous arts, and worked to prevent the spread of tuberculosis on the reservation. 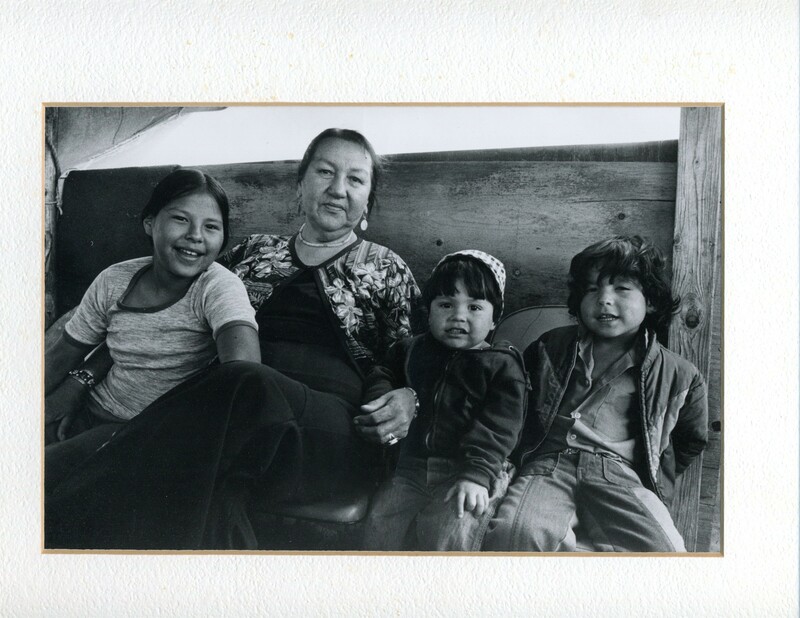 A founding member of one of the first Indian women’s clubs in Montana, Schultz devoted her life to the well-being of the A’a Ni Nin people. By the time Julia was born, her parents had already lost two children to a smallpox epidemic that took the lives of hundreds of American Indians in what is now north-central Montana. Along with several other mixed-heritage families, the Ereaux family settled near Augusta and took up farming. They were so poor, Julia later recalled, that her mother had to cut and thresh the grain by hand. Jesuit missionary and artist Nicholas Point, who lived with the Salish and Pend d’Oreille in 1842, captioned this illustration “Women warriors proved themselves rivals of the men in courage.” From Wilderness Kingdom: Indian Life in the Rocky Mountains: 1840-1847, The Journals and Paintings of Nicholas Point, S.J. (Chicago ,1967). People who knew these female warriors personally—tribal members, traders, missionaries, and military officers—provide details about their lives in oral histories, expedition journals, and drawings. The women’s military skill and bravery caught non-Indians off guard since they were unaccustomed to women participating in combat. The women’s male enemies were perhaps even more taken aback, sometimes fearing these women warriors possessed special, even supernatural abilities.